Step 1: Wear on an old pair of jeans. Step 2: Mark a horizontal line above each knee cap with white chalk. Step 3. 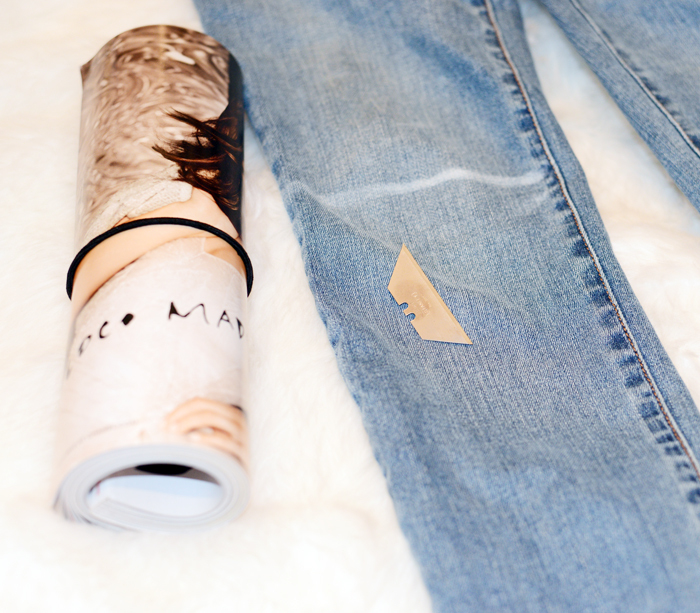 Roll up a magazine and place it on the inside leg of the jean. Make sure it is positioned underneath the chalk's marking. Step 4: Make a slit with the razor. 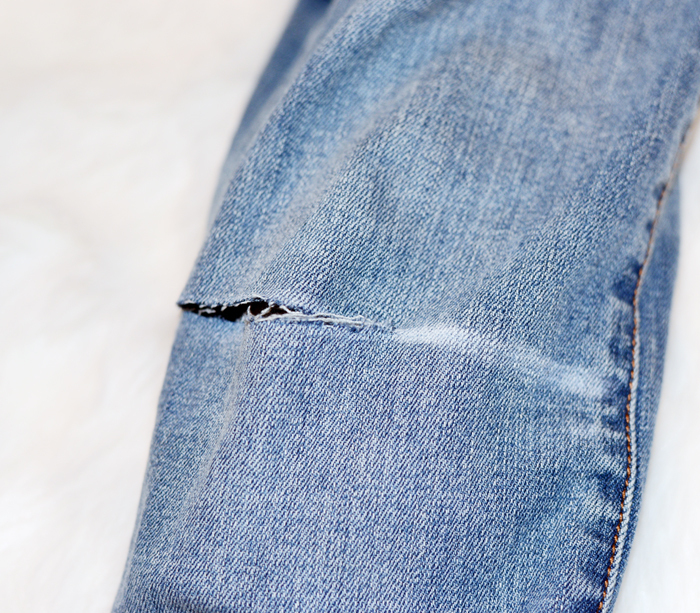 Step 5: Continue making the slit all the way across the knee area. Be careful to not cross the main side hem. Step 6: Fold the slit upward(half an inch) and trim off the excess with a pair of scissors. 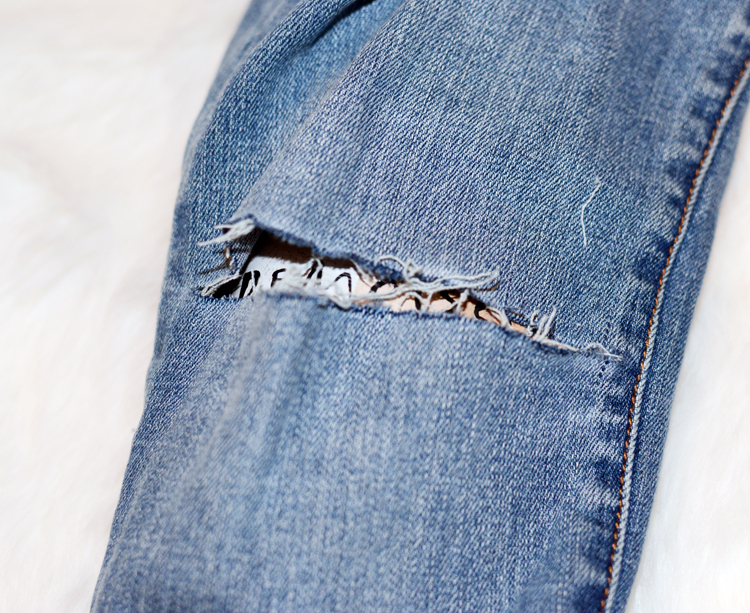 Pull on the frays and throw the jeans in the washing machine for a distressed look. Finish! 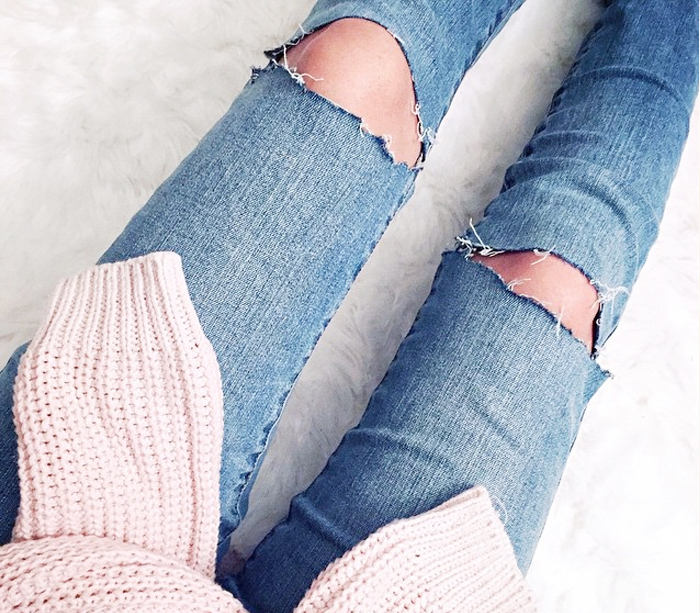 You now have a pair of edgy, ripped knee denim!